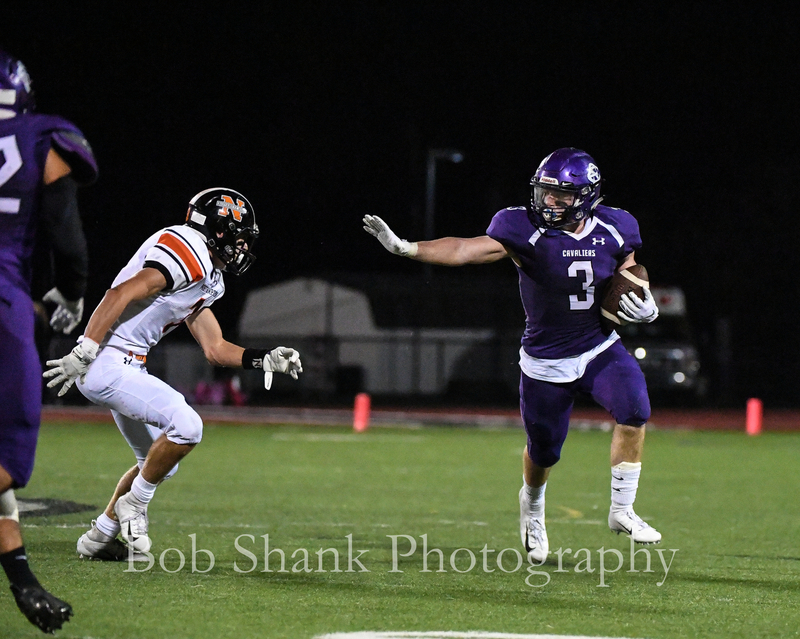 East Stroudsburg South hosted Northampton in an important matchup on Friday night. 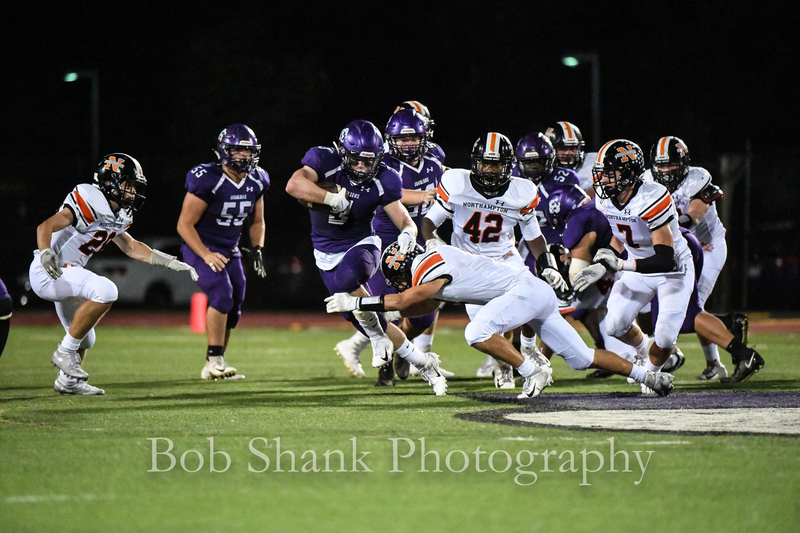 The Cavaliers received the opening kickoff and manufactured a successful drive to score the first points of the game on their first possession. 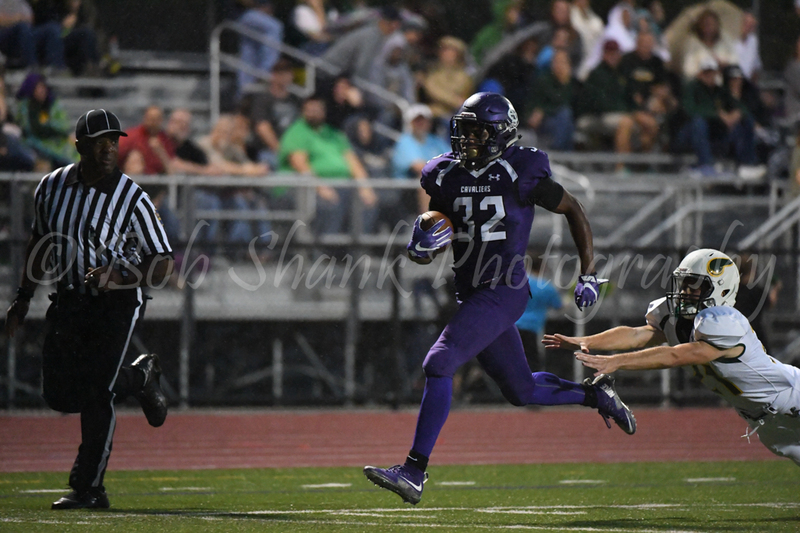 Ryan Clark crossed the goal line to put the Cavaliers on top. 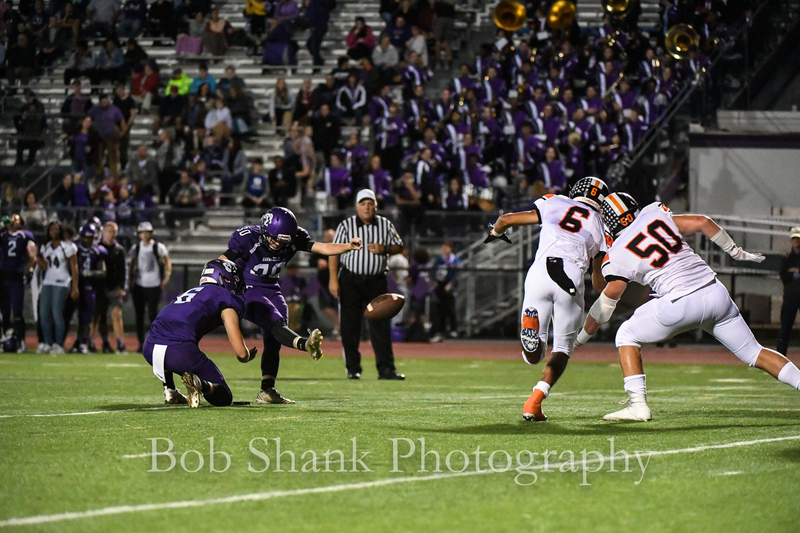 The extra point was good! The Kronkrete Kids responded with a touchdown of their own. Penalties mounted up against the Cavaliers and proved to be costly at times. The second half was more the same after the first half was only a seven point difference. Northampton was up 14-7 at halftime and came out strong in the second half. Ryan Clark had a big night as he gained yard after yard, sometimes at will. 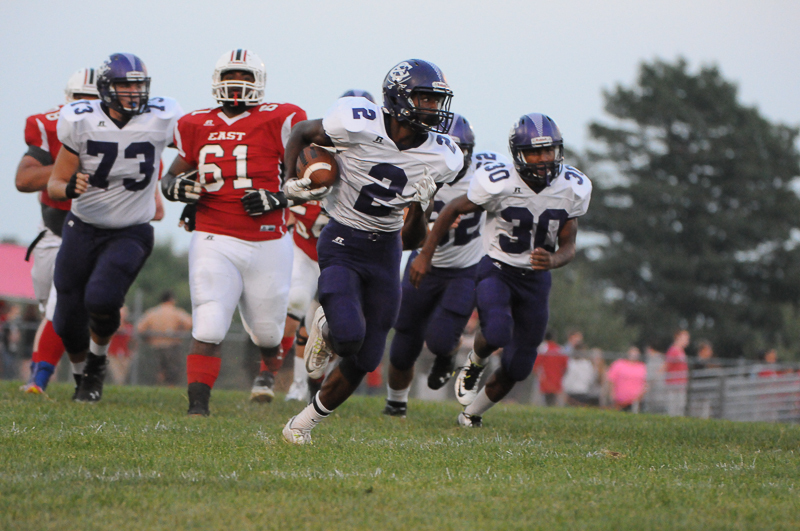 Pocono Mountain East struck first in their Friday night game against East Stroudsburg South. They marched down the field on the opening kickoff. 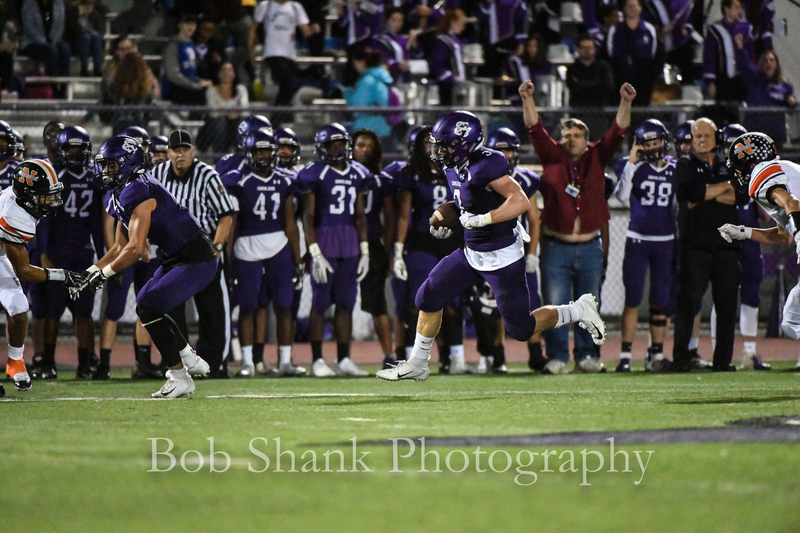 Triston Hilliman scored the touchdown and the game was on! It did not take long for East Stroudsburg South to respond. It was an exciting back and forth contest in the first half. Ryan Clark made an incredible over-the-shoulder catch on the goal line. 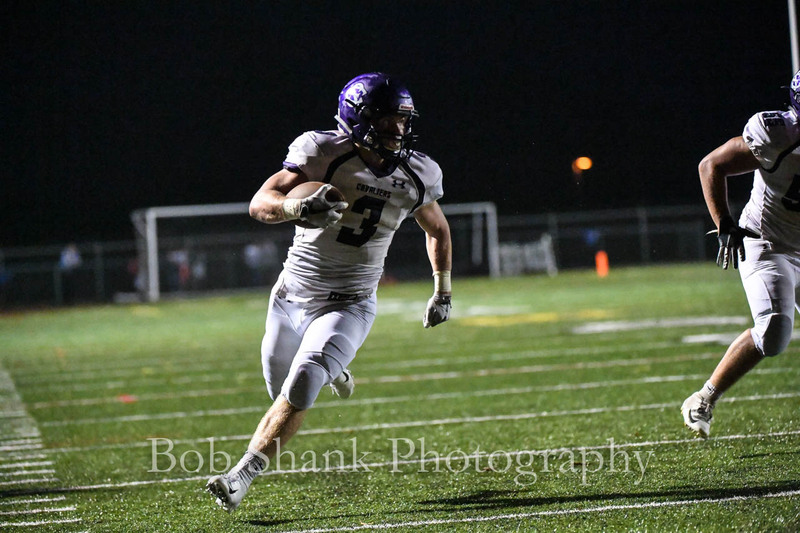 The second half featured more of Ryan Clark running and gaining yards as South went ahead. 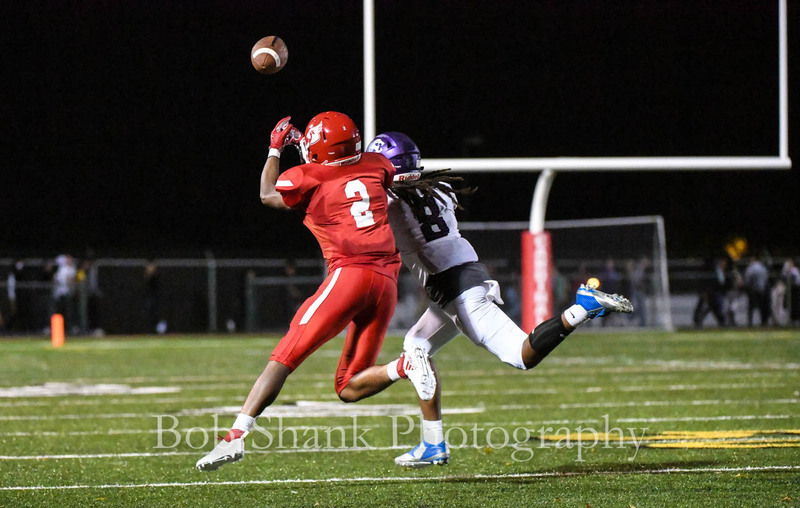 But East would not go away, even though in the photo above, a pass intended for Ryan Zalewski was broken up by Markens Pierre. 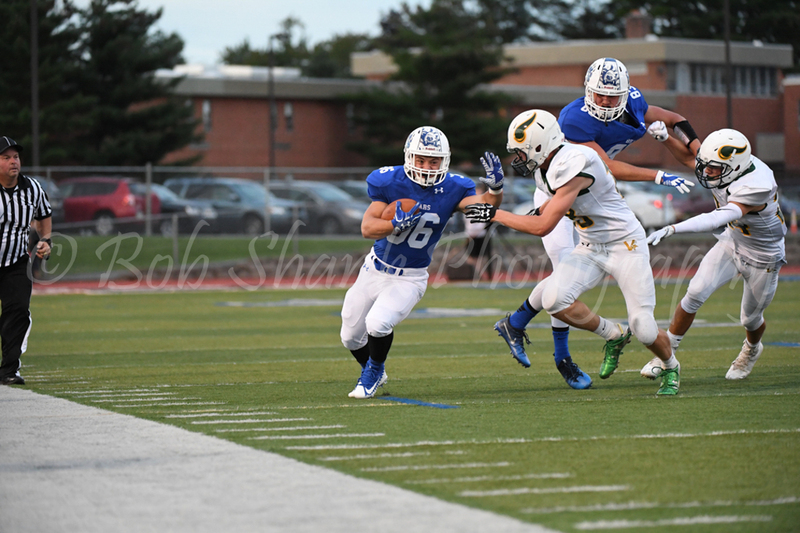 … and ran the ball in for the touchdown. 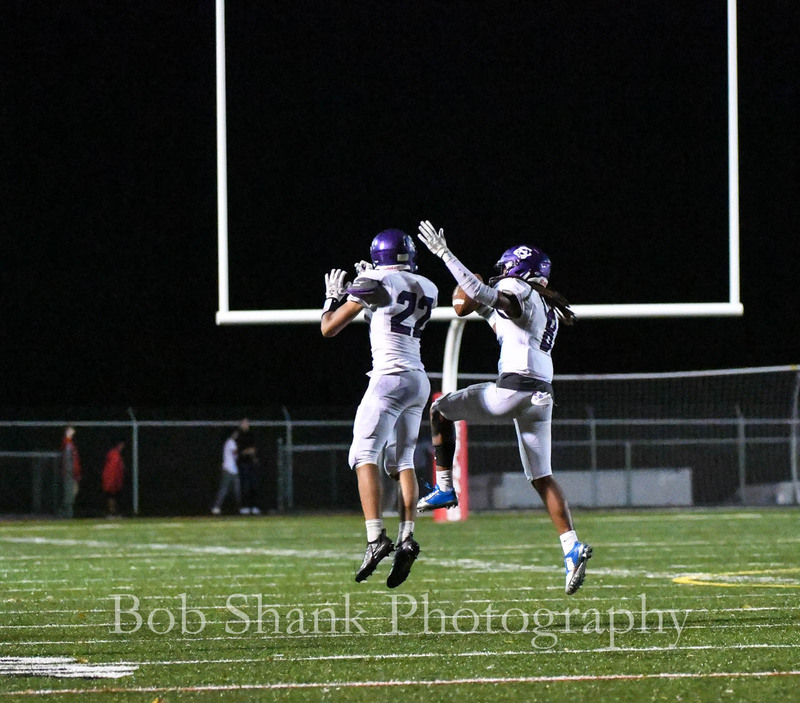 But South stopped the fourth quarter threat with an interception and pulled out the victory by a score of 26-20. 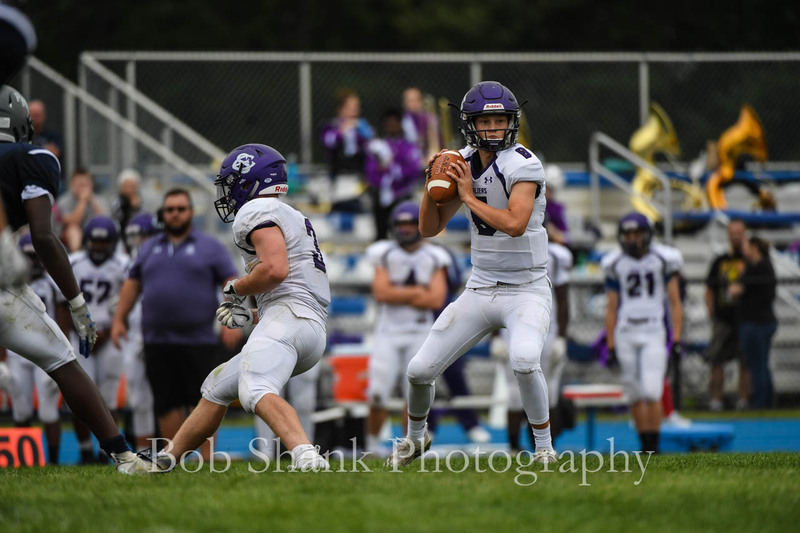 A Saturday afternoon matchup featured East Stroudsburg South at Pocono Mountain West. The first half was a close one. 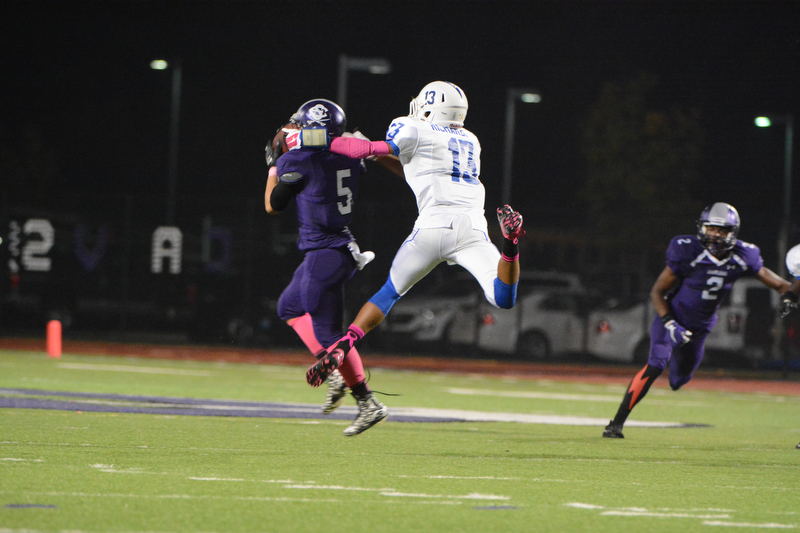 Each team was making successful offensive plays. 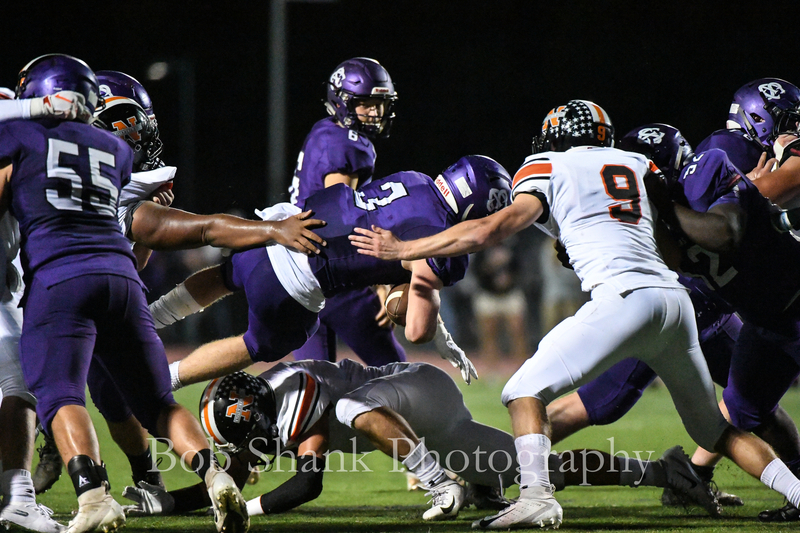 East Stroudsburg South’s Nyree Ford-Cherry tripped up Kaleb Monaco to prevent a touchdown and the half ended with a one possession difference (21-14) in the score. 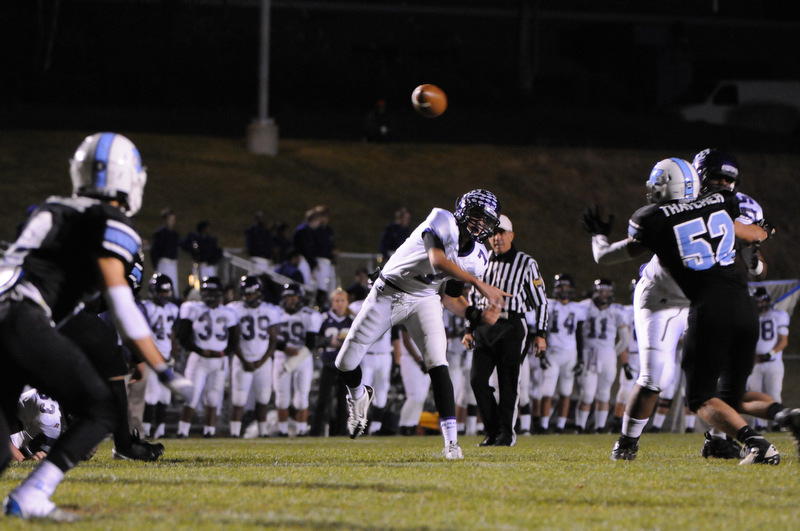 East Stroudsburg South came out to play in the 3rd quarter and started manufacturing some impressive drives. They took control of the game. Pocono Mountain West did not give up. They kept playing hard. 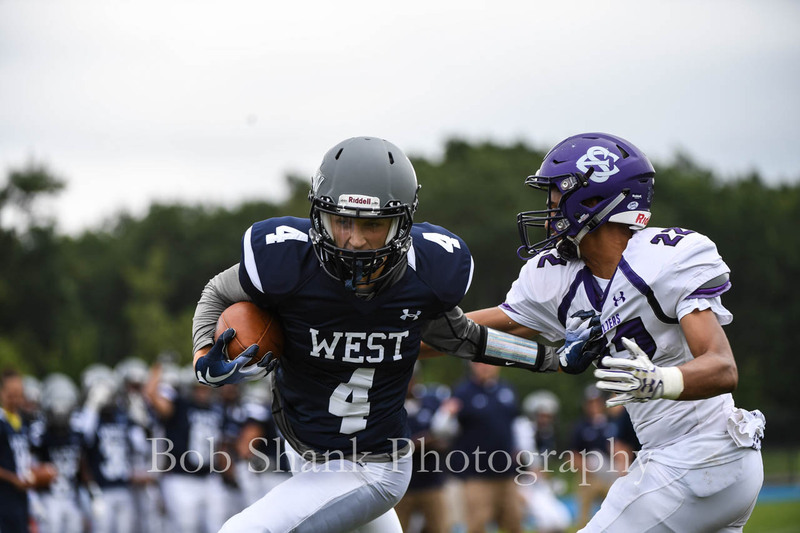 In the photo above, Adrian Salas-Viruet kept running after losing his helmet on an offensive play for positive yardage. 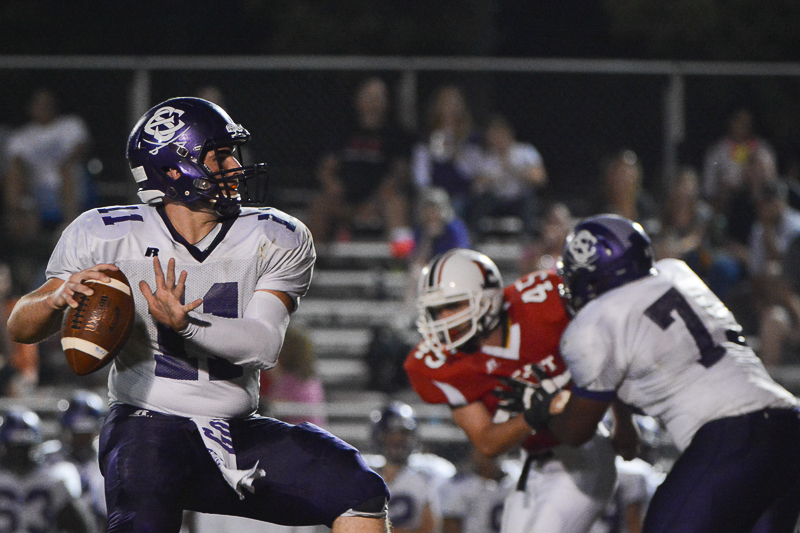 The final score was South 49 – West 21. 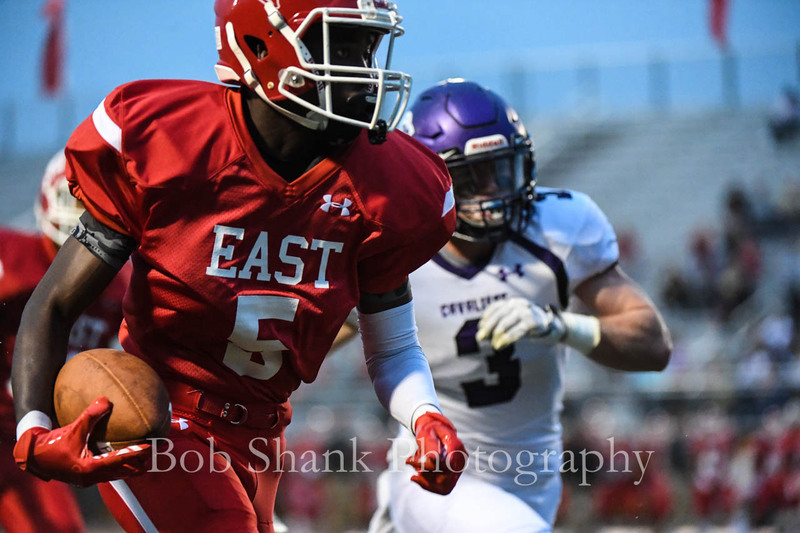 Drew Altemose (15) catches a touchdown in the first half for Pocono Mountain East against Dieruff on Friday night, September 8, 2017 in Swiftwater. There is nothing like the atmosphere on a Friday night at the local High School football field. The band plays inspiring music, the referees take the field, and the excitement builds. Fans enter the gates and take their place. The Star Spangled Banner is played and the kickoff whistle blows. It’s time for Friday night football! 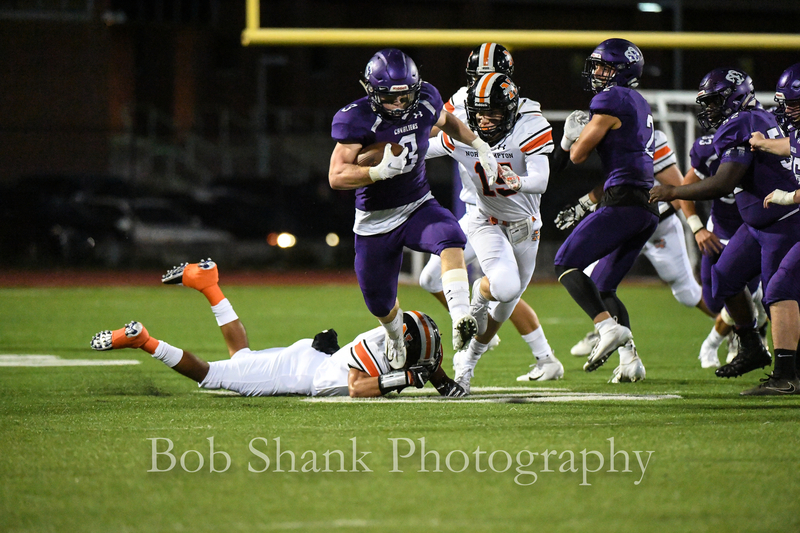 Harold Camacho (32) outruns a defender for a touchdown for East Stroudsburg South against Allentown Central Catholic on Friday night, September 15, 2017 in East Stroudsburg. 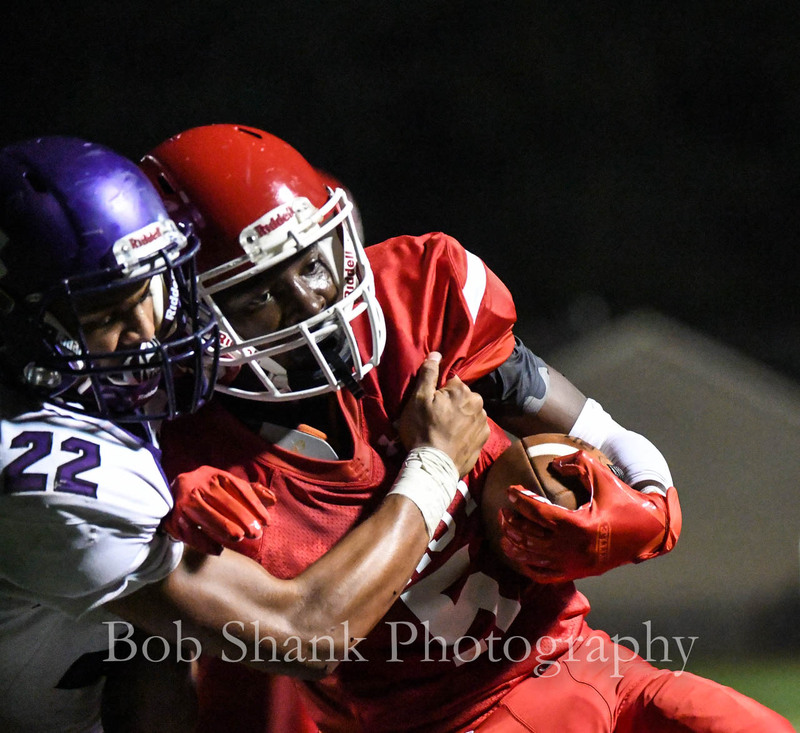 I have the privilege of photographing these games during the season. I believe each game unfolds to tell a unique story and it is my job to record the details of each game story. The athletes put in a lot of work, determination, and practice before the game. Then they put their best effort on the field against their opponent. 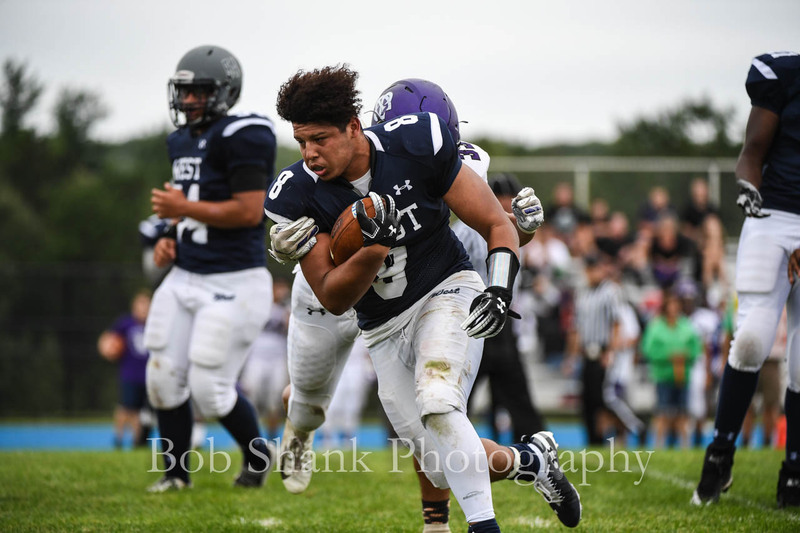 Anthony Claudio (36) gets around the end for Pleasant Valley against Allentown Central Catholic on Friday night, September 1, 2017 in Brodheadsville. 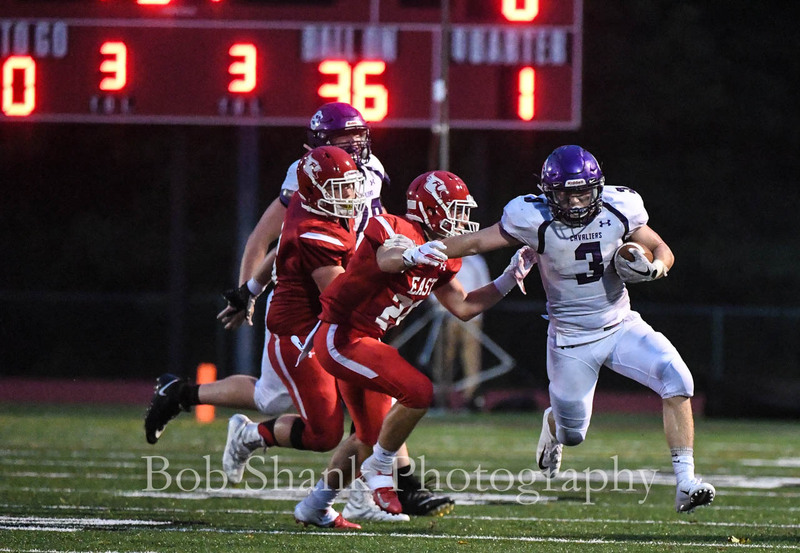 Harold Camacho (32) runs outside for East Stroudsburg South against Allentown Central Catholic on Friday night, September 15, 2017 in East Stroudsburg. 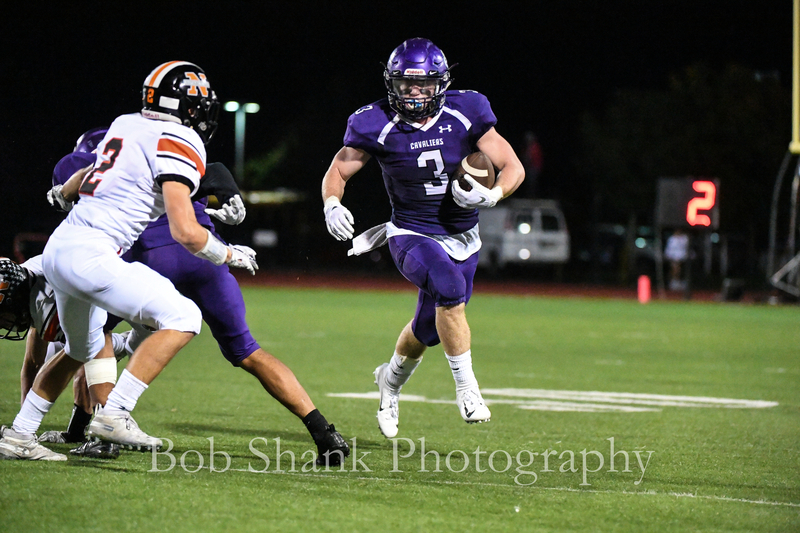 Recently, I restructured the pricing of my sports photographs to make it easier for players, parents, and fans to buy and display the images I am capturing on Friday nights. Full resolution images are quickly delivered and allow the buyer to print a physical photograph or display the image on any electronic device. The initial price for a full resolution image is higher than a printed photograph because the buyer can print and display the image an unlimited number of times. But even though the initial cost is higher, the advantages far outweigh the difference in cost. Therefore, I am now offering digital images in individual and bundle pricing packages. 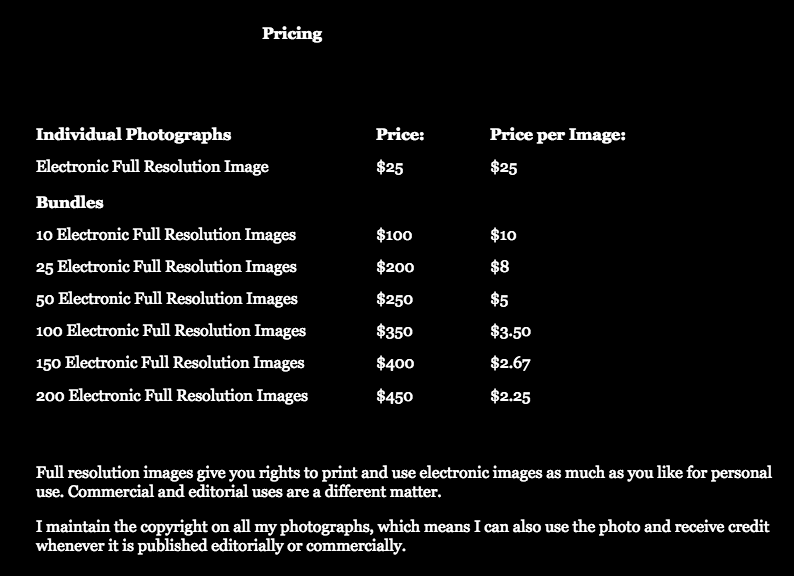 You can view the pricing list here: Photo Pricing List and the next photo shows the new pricing levels. Sports photography is a passion I enjoy sharing. 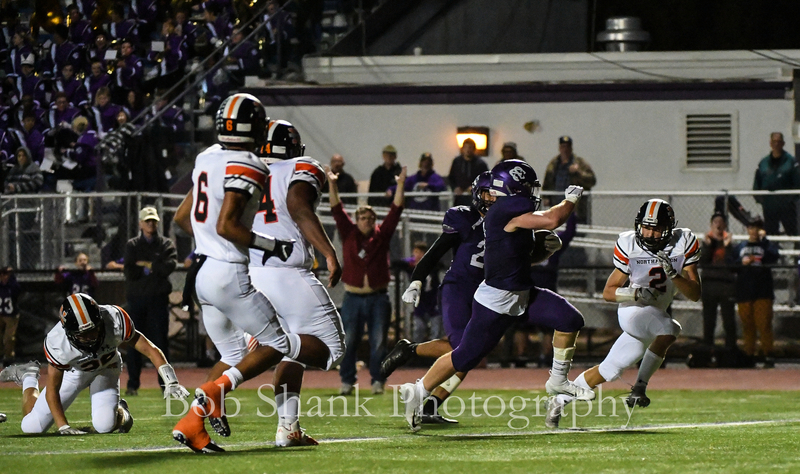 I hope you will look at the High School football galleries and find photographs that capture the excitement of Friday Night Football! 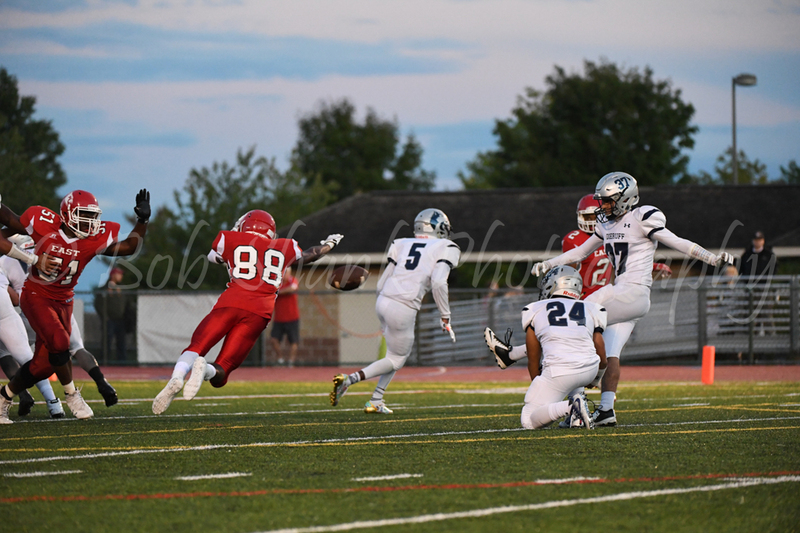 Triston Hillman (88) blocks an extra point in the first half for Pocono Mountain East against Dieruff on Friday night, September 8, 2017 in Swiftwater. Pleasant Valley Wins in the Purple Pit! 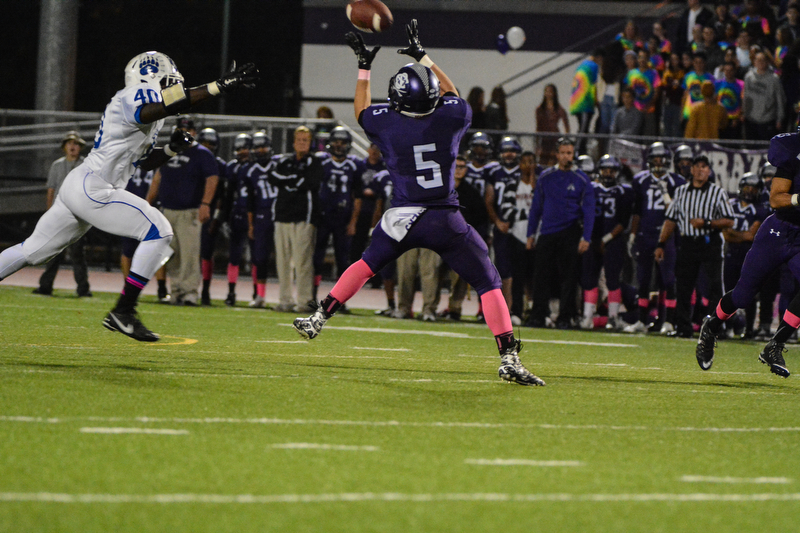 It might have been close at the beginning, but PV got stronger as the game clock clicked down. 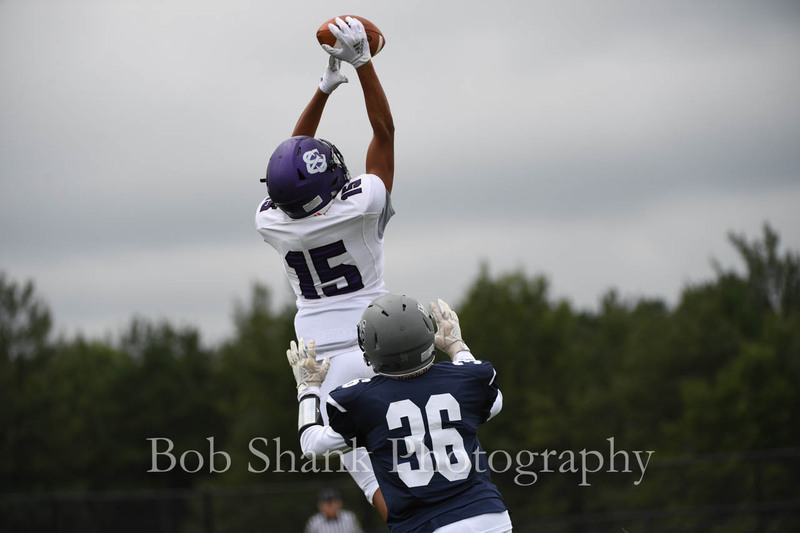 East Stroudsburg South connected on some early passes, like the one in the photo above. 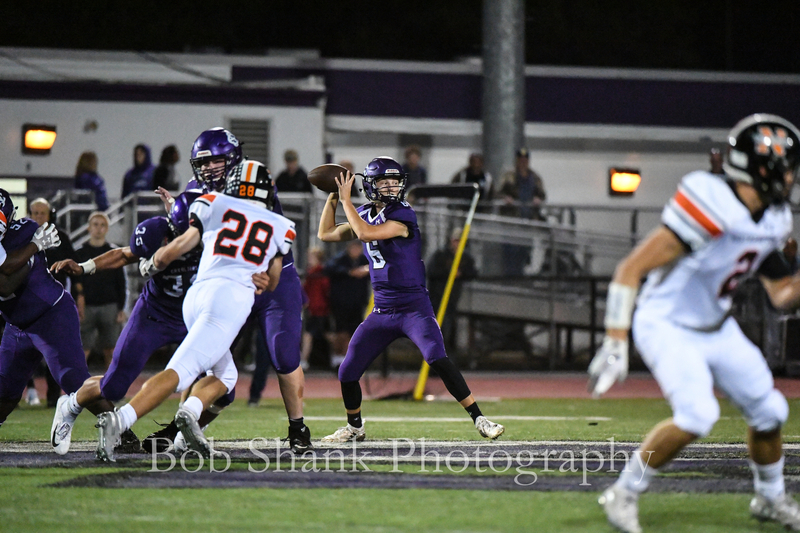 Quarterback, Jakob Cirillo, made some quality and accurate passes to keep PV’s defense on its heels early in the game. Penalties were costly for both teams at times and the referees had to consult on several occasions to sort it all out. 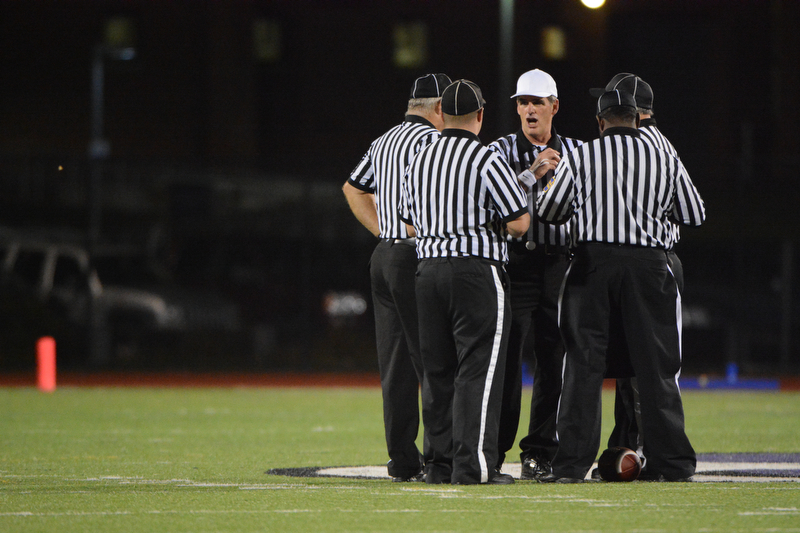 The game actually took a lot longer due to all the penalties and especially because of the time it took the refs to get it all figured out along the way. 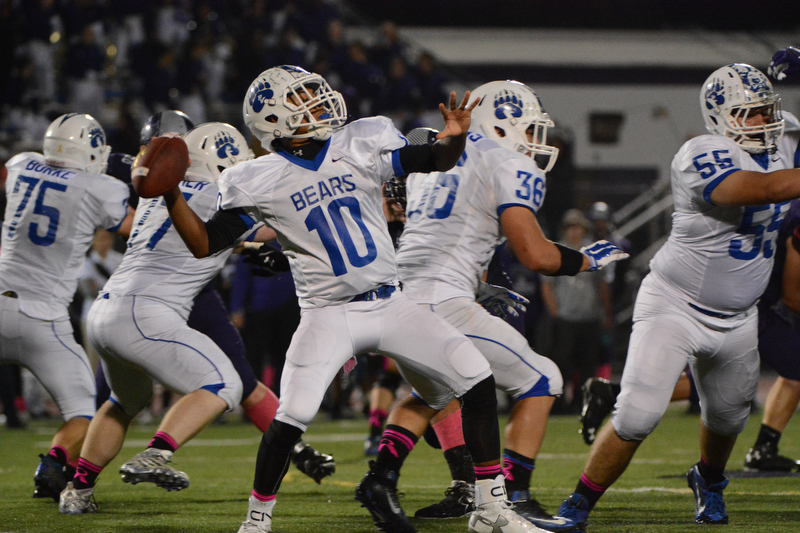 PV’s quarterback, Mikey Brown, was a double threat with his arm and his legs. 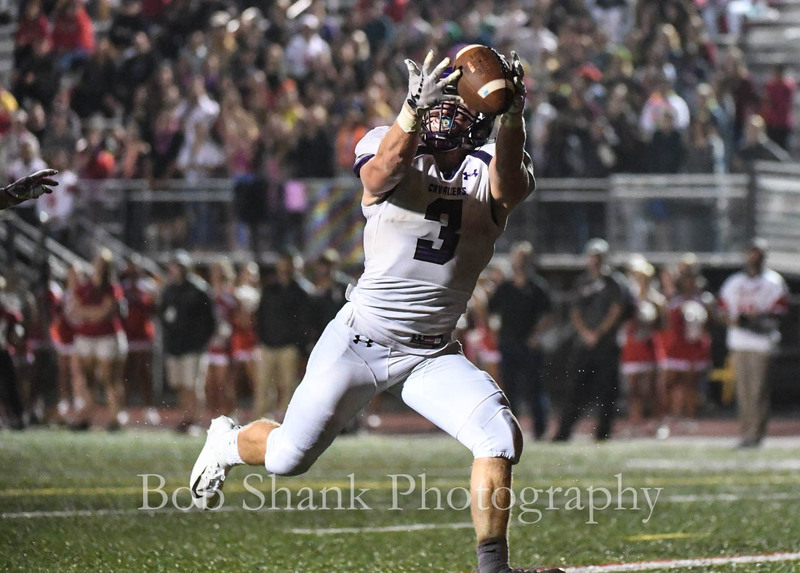 He connected on some crucial passes but also gained some positive yards against the Cavalier’s defense. Even though the Cavaliers got behind on the scoreboard they didn’t give up. 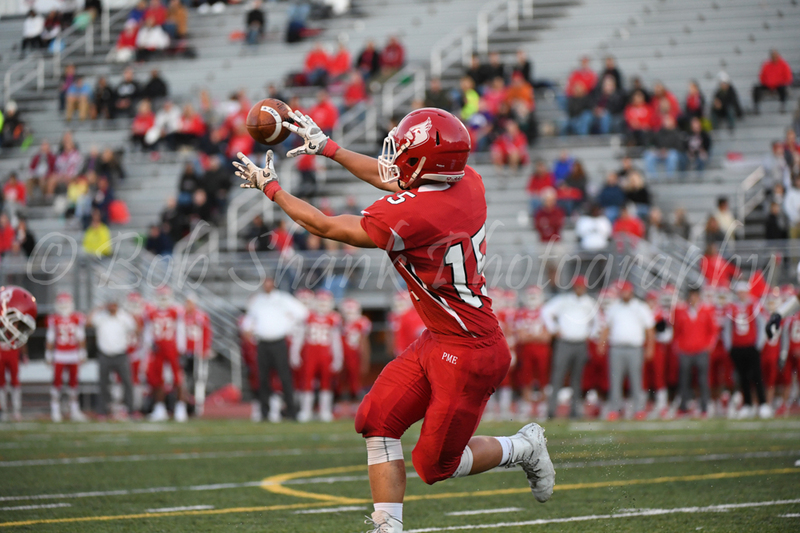 Cirillo kept throwing to his receivers and made the game more interesting. 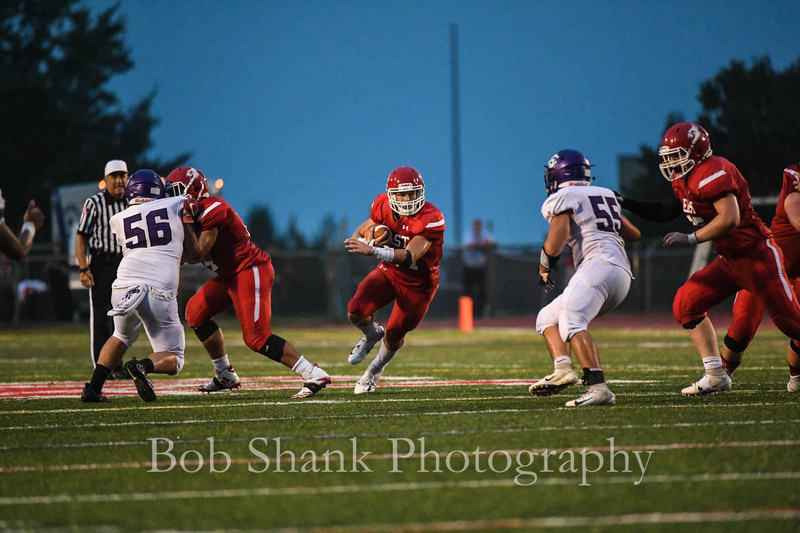 These high school athletes certainly can put a great game on the field! 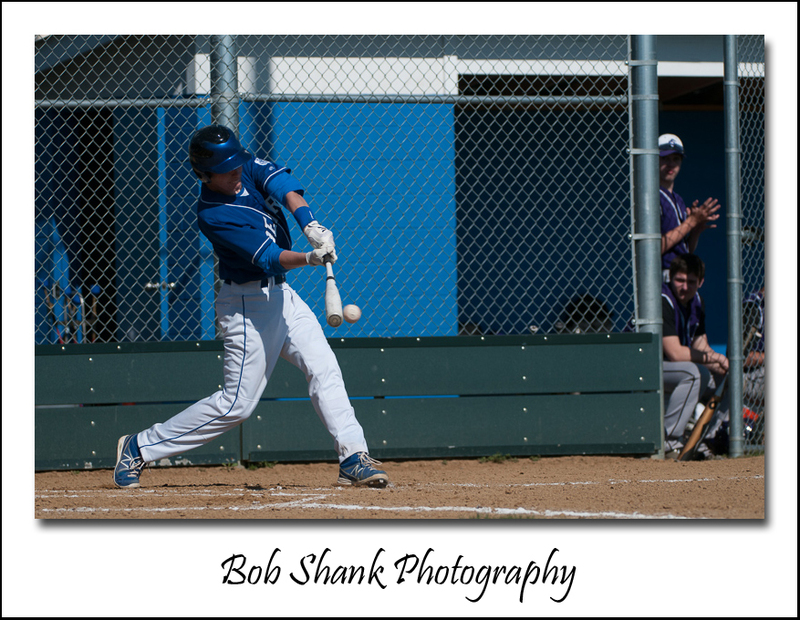 It is a privilege to have the opportunity to photograph them and try to capture their athletic skills with my cameras! 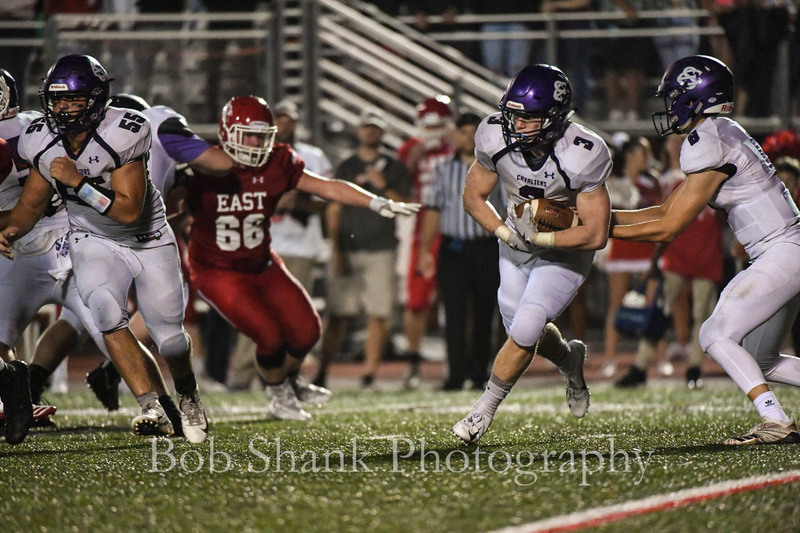 East Stroudsburg South racked up a huge game up on the mountain Friday night! They scored 42 unanswered points and never looked back. It was a game of excellent runs, passes, and interceptions. 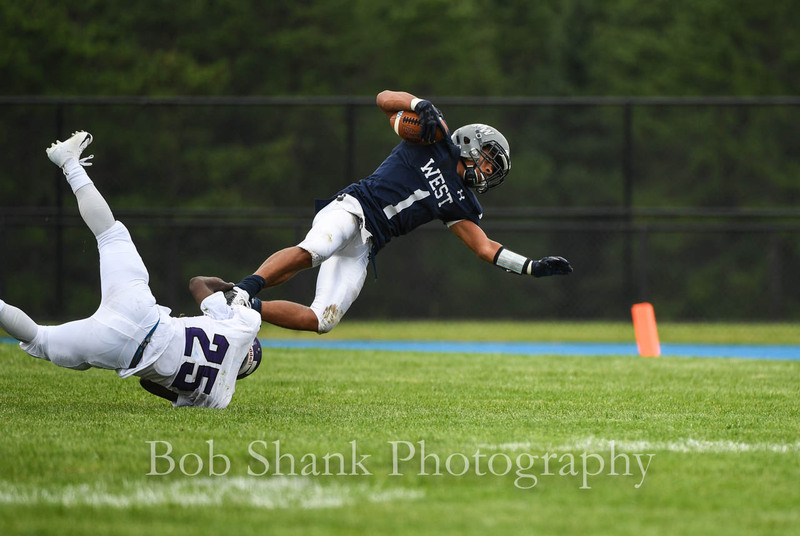 This first photo is featured in the Pocono Record online edition. 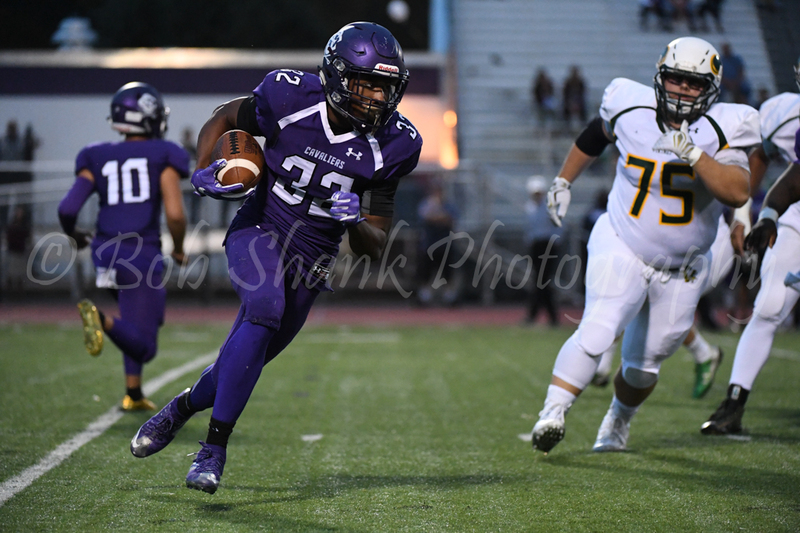 It shows running back Changa Hodge running East Stroudsburg South’s first offensive play of the game, which resulted in a 53-yard touchdown. And with that, a victorious night was ignited! I still find the lighting at these high school night games a real challenge. There just is never enough light for us photographers. 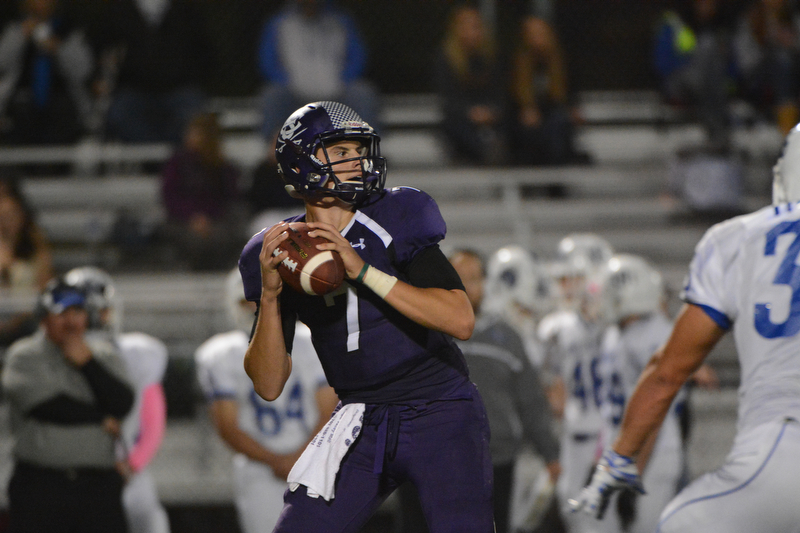 This second photo features quarterback Nicholas Boushell winding up for a throw down field. 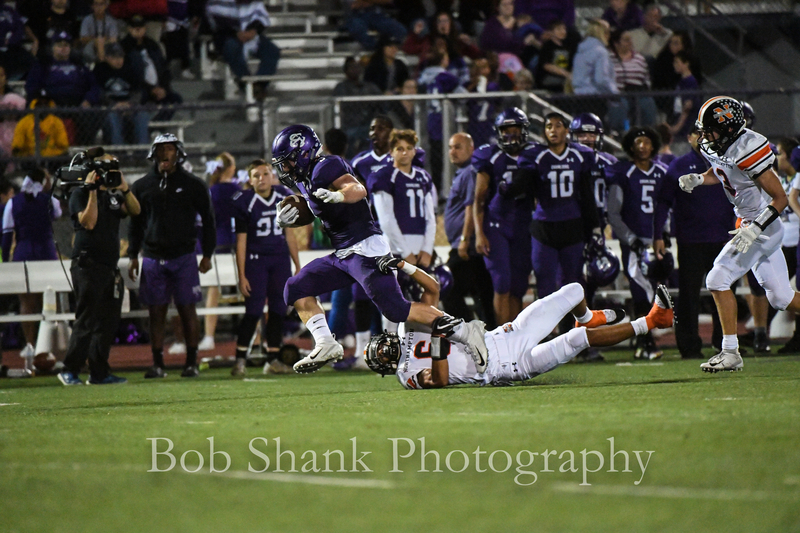 You can view the full gallery of photos here. 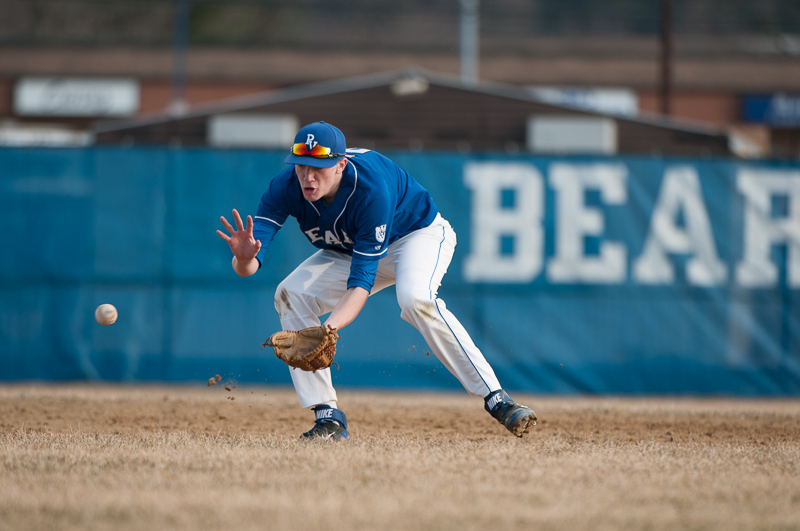 Pleasant Valley hosted the Cavaliers of East Stroudsburg South on a bright and warm afternoon. The sky was blue and the temperature was baseball ready! The Cavaliers jumped out to an early lead in the first inning. They then put some solid defense on the field for the first few innings. It looked for all intensive purposes like it was going to be a one-sided game. But the Bears never gave up. They battled back to bring the score to 10-5 in the fourth. In the end, South defeated PV by a score of 10-7, but it was an exciting game to the last out! 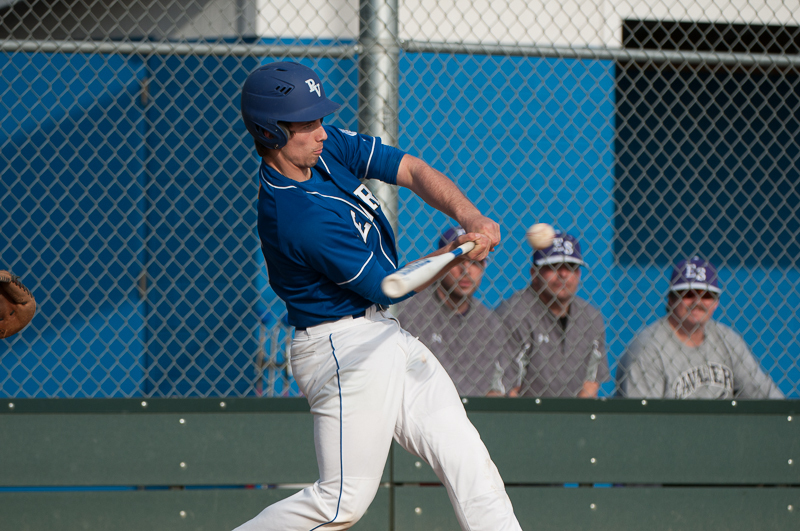 Pleasant Valley’s baseball team was propelled by James Shank as he went 2-3 at the plate and recorded 2 RBIs. 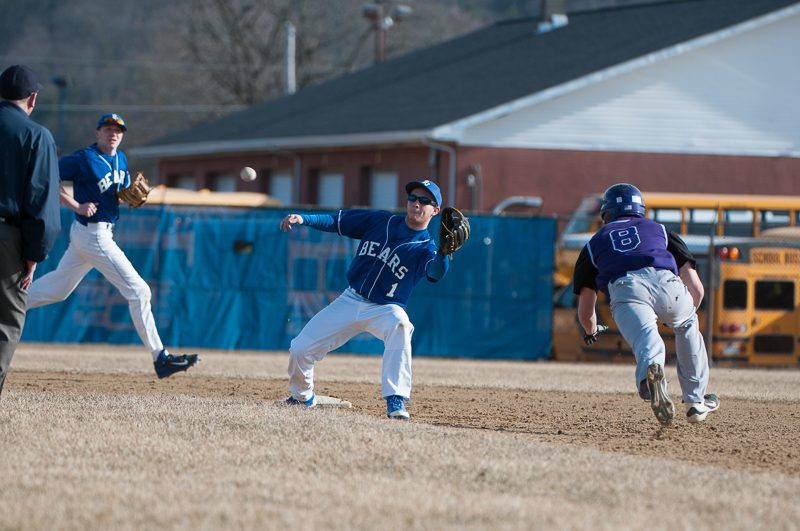 Howie Stevens and Jordan Caffrey contributed well-placed hits in the line-up to score 6 runs in six innings. Dylan Pasnak, pitched a masterful 1-hitter to secure a solid defensive game and record the shut-out. 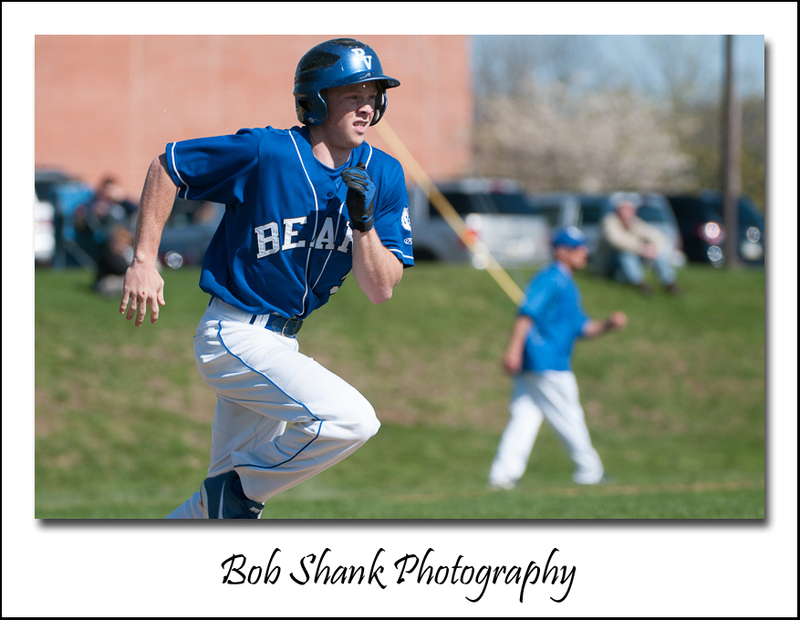 In the above photo, #3 Adam Raseley is running to first base. PV’s record is now 11-2 for the season! 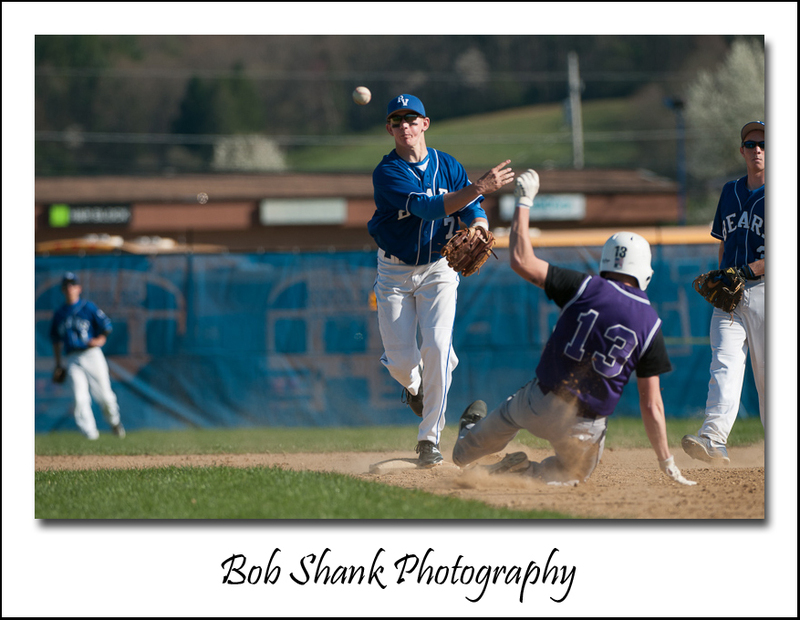 Here, shortstop, Dan Hrbek, turns a self-assisted double-play as #13 Zack Werner slides into the second base for East Stroudsburg South. 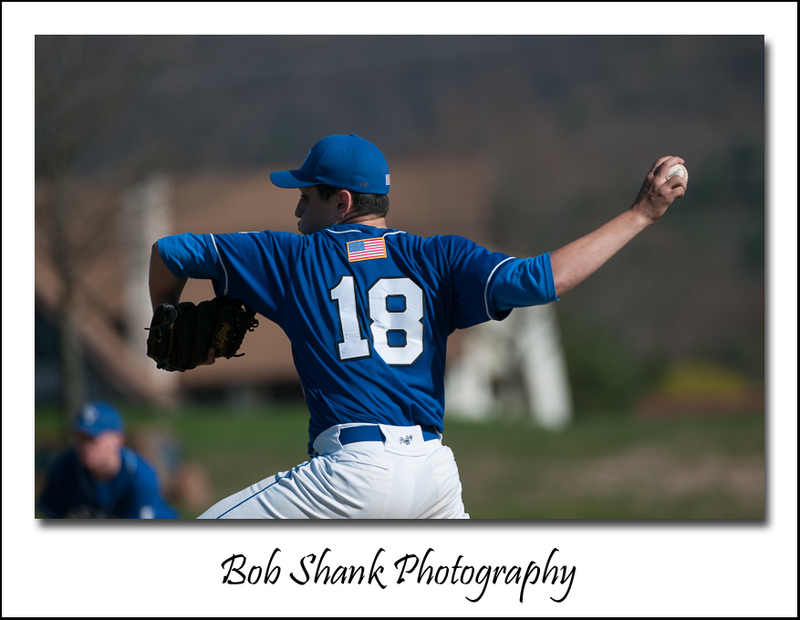 Pleasant Valley’s baseball team played a barn-burner against East Stroudsburg South this afternoon! The game went back and forth until after 7 innings when the game was tied. Two extra innings were played and the score again went back and forth. It was an incredibly exciting game with lots of hits, two home runs, and much excitement! In the end, PV came up to bat in the bottom of the ninth down by one run. 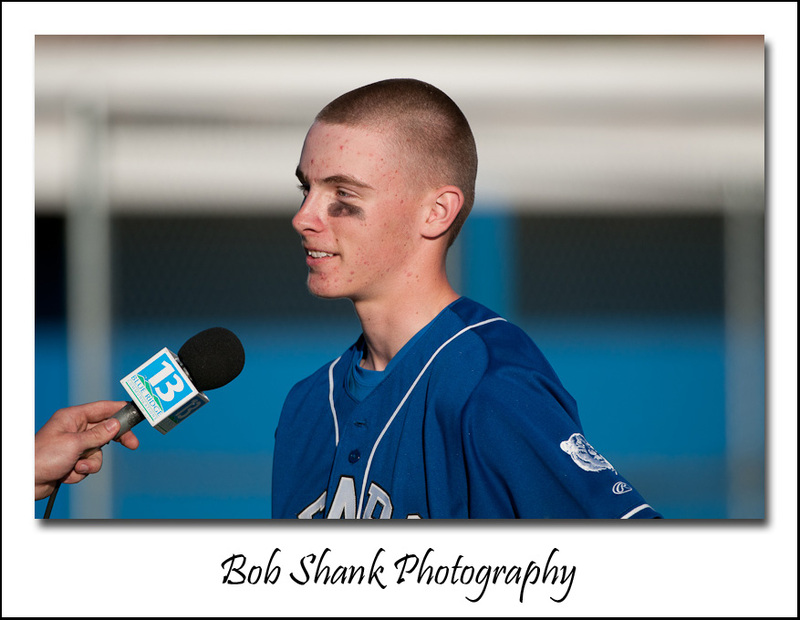 They rallied to tie the score and then, with bases loaded, James Shank smoked a ball down toward third base. 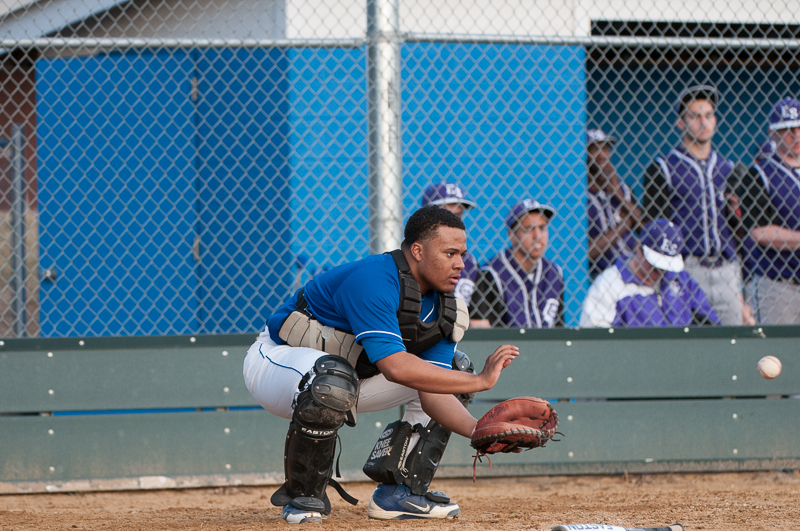 The fielder could not handle the hard hit and the winning run crossed home plate. 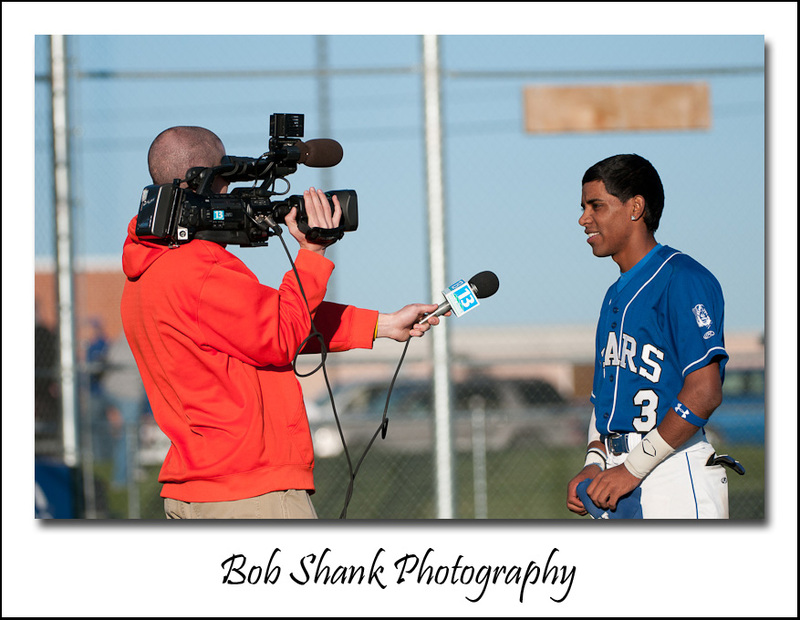 After the game was over, two Pleasant Valley players were interviewed by the local new station: Adrian Concepcion and James Shank. Victory is sweet any time, but that much sweeter when you share it with good teammates and when they try to make you laugh during an interview!